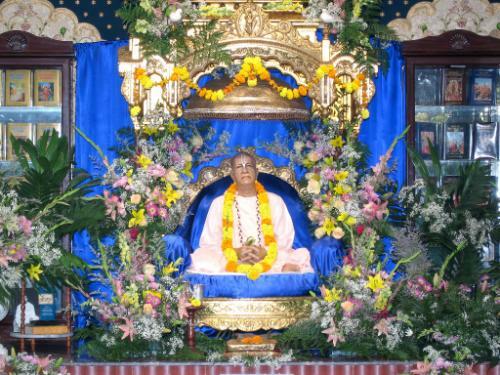 "A pure devotee of the Lord cannot be separated from the lotus feet of the Lord for even a moment. Undoubtedly the Lord is always within the hearts of all living creatures, but they hardly know about it because they are deluded by the illusory material energy. The devotees, however, realize the presence of the Lord, and therefore they can always see the lotus feet of the Lord within their hearts. Such pure devotees of the Lord are as glorious as the Lord; they are, in fact, recommended by the Lord as more worshipable then He Himself. Worship of the devotee is more potent than worship of the Lord."